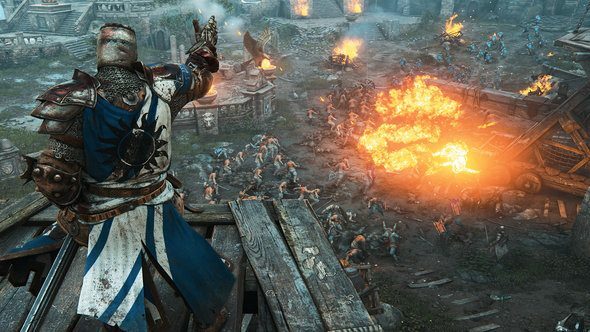 Ubisoft’s upcoming bloodbath simulator, For Honor, is now less than a month away and the team have announced what you’re going to need in your rig to properly enjoy all of the decapitation and disembowelment. Get your rig ready to run For Honor with our comprehensive overclocking guide. When it comes to processing power, the minimum recommendations suggest you can get away with an i3 or an AMD Phenom II. But as most PC gamers will expect at this point, it is recommended you at least have an i5-2500k or an FX-6350 to get the most out of the experience. Apparently you can still get away with 4GB of ram, although I suppose this isn’t too surprising given that it will be a dual launch with the console port. Having said that, if you’re wanting to run the game at full HD with 60fps you’d best get yourself at least 8GB. When it comes to the GPU they recommend a GTX680/GTX760/GTX970/GTX1060 on the NVidia front or a Radeon R9 280X/R9 380/RX470 for the AMD users out there. Either way, you’ll need 2GB of Vram to get the most out of it. The full list of requirements can be found on the Ubisoft blog. For Honor will be coming to UPlay on February 14th but you can register for the upcoming closed beta on the official website if you’re hungry for some action sooner.